There’s no doubt that the demand for 4K is getting closer. The TVs are priced right and content is growing fast. But there’s one small driver that many people are overlooking: the smart phone. Don’t get us wrong; we don’t think 8 million pixels on a 5-inch screen is going to drive anything. We’re talking about the cameras. There are already over 80 smartphones on the market with 4K cameras. And that means more and more people are starting to make their own 4K content. And what good is 4K content without a 4K TV? Could it be that home movies and cat videos are what kicks off the rush for 4K? In reality, it will be a combination of factors. But history would suggest that the tipping point is not too far away. And it will most likely be live content that leads the way. 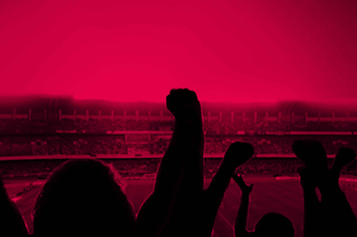 It’s the really high-value live sports content where early adopters can benefit most. And there is an ever-growing list of sports from Motor Racing to the NBA rolling out their 4K offerings. But that’s an expensive upgrade, right? We all learnt from the SD > HD jump that it means a lot of expensive upgrades at sports venues and heated CAPEX discussions, right? Wrong. This time round we can do it a lot smarter. 4K is one of the biggest factors motivating customers to take a closer look at our Remote Production solutions. Sure, they will still need to upgrade their cameras, but remote production lets OB vans become obsolete and cuts onsite production facilities right out of the loop. Instead, they can do a single upgrade of their central studio and send their feed directly there. It also means they can centralize their resources and get their A-Team on every job. Maximizing the talent that adds value to your content and minimizing the resources needed to produce it, means greater quality for a lower cost. And that’s worth looking into. 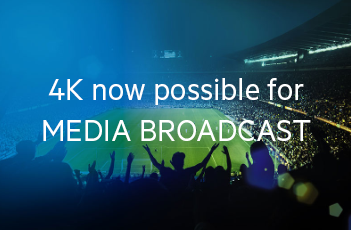 Read more about 4K and Remote Production in Broadband Journal´s article. Live 4K broadcast from Berlin to SKY Germany in Munich over fiber network.